During the fit out of a new retail store or office, there will be a number of products, racks and computers or merchandise that take up space and conflict with the new styling. These materials and devices will either need to be stored, at a cost or deposed of to make way for the new equipment and sock. Other items that routinely need to be disposed of in a commercial setting can include paper, packaging and damaged items. We work alongside a number of commercial businesses to keep their storage use low and dispose of their unused appliances, equipment, cabinetry and merchandise in a cost-saving and environmentally friendly way. Working with a professional rubbish collection team for your commercial rubbish and other waste means all disposal and collection is done so in a regulatory compliant way. We make sure all e-waste, cleaning agents and other chemicals are disposed of correctly. Office materials such as paper, shredded paper and cards, packaging stationery and more are all able to be collected by our rubbish collection teams. A professional rubbish collection is the first step to a tidy and productive workplace if you are moving offices or updating your current office and need to remove old furniture. If your business needs ongoing waste or rubbish removal simply let one of our team members know and we can routinely arrive on a weekly, monthly or even daily basis for the collection of your unused materials and general rubbish. The biggest contributor to general office stored waste is old monitors and displays that have either broken or been rendered obsolete by a newer model. Monitors are generally heavy and a little awkward to remove, so our experience rubbish removal team will gladly be able to help carry your old monitors and displays to our trucks. These devices are required to be recycled or dismantled for parts as per city regulations, so you can rest assured we will take them to the nearest processing facility, rather than putting them into landfill. Old chairs and office seating that need to be replaced are often a difficult and awkward piece of furniture to remove, especially in bulk. Our teams are experienced in office waste and stock removal and are more than capable of efficiently transferring all of your office chairs, seating and more into our vehicles for disposal. If the office chairs or seating you wish to dispose of are not damaged, and you’re simply upgrading, our teams can ethically dispose of these and have them donated or deconstructed to be used in other workplaces. Removing cabinets, and organisational furniture like racks, in office kitchens, retail stores and other commercial settings is normally difficult without the assistance of a professional rubbish removalist team. If you or your business needs assistance with physically removing the cabinets or shelving from walls or fixtures, simply get in touch with us or tell one of our team members and we will be more than happy to help out with this. The correct disposal of office kitchen appliances is essential to being an ethical business and adhering to local regulations that deal with the disposal of kitchen white-goods, like coffeemakers and microwaves. We make sure that all of your office’s or store’s appliances are disposed of correctly or recycled, regardless of whether they’re broken, damaged or brand new. During the fit out of a store, you’ll need to replace the flooring, carpet with a new suitable style. We can help remove the old one by pulling up carpeting or linoleum and loading it into our trucks for disposal so you can focus on the installation of your new flooring. There are difficult disposal regulations for different flooring types, so save yourself the hassle and potential penalties and get the professional assistance you need to make the process effortless. There are a number of local, council and national regulations in place dealing with the disposal of e-waste and other commercial products. We make sure that all of our disposal methods adhere to these regulations and ensure that there isn’t a chance of financial penalties due to improper disposal. Our disposal process often includes transferring rubbish to be put into landfill, recycled, dismantled or reused. Our team will completely remove all of the commercial rubbish and waste you don’t wish to keep without needing you to lift a finger. We do all the heavy lifting and even assist with the detachment of drawers and cabinets from their fixtures or walls. When we’ve finished removing all of the items and materials you no longer wish to keep, we begin a tidy up of the space so it’s left entirely clean and ready for use. This ensures little downtime and improved safety by making sure there’s no glass shards or sharp materials left lying around. We make sure to relay any e-waste or other regulated materials to government-owned or private facilities that are capable of dismantling, recycling or correctly disposing of them. We take the environmentally and ethically friendly approach to disposal of e-waste, plastics and cabling seriously and want to ensure our customers know this. Our team works across a number of industries and locations to help with the disposal of countless products and materials. We can visit offices in cities and the suburbs, industrial on-site offices, small and large businesses and retail stores who need a safe, easy and affordable way to dispose of their rubbish and other unused products and materials. One of the more common workplaces visits we make is to our customers in offices or customers who own businesses with large amounts of commercial office equipment. This equipment typically rages from computers, desk chairs, office kitchen appliances, desks and storage cabinets. As far as the disposal of office electronics is concerned, there are a number of regulations and council requirements that require the safe and environmentally friendly disposal of these items. We can assure that with our partners and industry connections that our customer’s e-waste will be correctly disposed of, in environmentally friendly manner. We are able to visit both off-site and onsite offices, whether they are connected to an estate development, industrial lots or a construction site. If a project or building is complete and a site office is ready to be relocated but there are a number of items or rubbish that need to be removed from the office including computers, drawers, cabinets and seating, then we are able to remove these items and rubbish in no time at all. 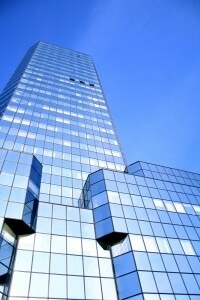 Large-scale corporate office cleanups and rubbish disposal can be exceedingly difficult projects. Countless appliances, desks, drawers and more may need to be disposed of in an efficient manner to ready the office for a new fit out or take-over from another company. 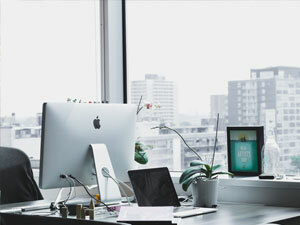 To ensure this process flows smoothly and efficiently, your best option is to contact a specialist and experience removal service, like ours, to assist in the mass-removal of items like office rubbish, e-waste like computers and monitors as well as other elements like desks, filing cabinets and more. Materials like unsold retail store merchandise simply take up space in stores and often remain in storage taking up space. We are able to assist with the efficient removal of a number of materials from retail stores, from unsold clothing and accessories, clothing racks and even old packaging from a previous brand. Keep your retail space clutter free and mitigate the need for costly storage for items that may never be sold. General clutter, office supplies and leftover retail merchandise simply is a burden on businesses. Whether you have unused and old computers that are taking up valuable office space, unsold clothing taking up storage or cabinets that simply aren’t suitable for a new workflow, we can have one of our teams arrive and remove all of the supplies and rubbish. When e-waste and chemicals are concerned, we can assure our customers that all of our disposal methods are compliant with regulation and are ethical. 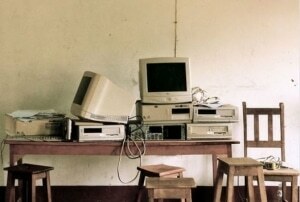 This means computers are recycled, and office chairs and desks are dismantled or repurposed. Book an appointment, and one of our team members will evaluate your site and requirements. Based on your site, timeframe and amount of materials we will provide you with a quote. Commercial garbage, rubbish & stock removal will begin. Our team will dispose of all waste and materials correctly and in compliance with the local council and federal law. The removal of general waste is typically straightforward and efficient and is a necessity for all workplaces. Our team can regularly and routinely arrive at commercial workplaces for scheduled rubbish pickup and disposal if our customers request. Keeping the workplace clutter free. All of our disposal methods are compliant with regulation thanks to our network of disposal and recycling partners. A more complex and difficult-to-dispose waste is e-waste. As technology advances exponentially every year and leaves predecessor technology obsolete, there growing number of electronic waste has meant government and councils have placed a number of regulations on e-waste, often requiring recycling and banning the general disposable of electronic devices into landfill. Businesses with fast product turnarounds and those that receive a number of stock items and are unable to sell them all on time, even at sale prices, are often left with countless items that simply take up storage space. This will not only cause a loss of storage space but can also cause WHS issues if the stock stacks up in the back. We are able to dispose of clothing, accessories and other retail goods ethically. This also includes the relay of clothing to processors who turn unused clothing into rags to be used for other work processes. One of the most common items that need to be disposed of or removed from commercial businesses is retail clothing racks and cabinets. These items are commonly thrown away during style changes, buyouts and store refits. Our removal and rubbish disposal team will be able to easily remove all of your unused or replaced cabinetry and retail clothing racks and storage units to free up your floor space during a redesign. Where health and safety are concerned, the replacement of office seating is essential to keeping staff comfortable at work and is also governed by regulation. This means we are often required to assist in the disposal of a large number of office chairs and other seating accessories. We take the removal of these items seriously and ensure that they are ethically disposed of or reused or dismantled when possible to reduce environmental impact. A professional, efficient and affordable commercial rubbish removal is the best way for your business or office teams to get back to work as seamlessly as possible in a clutter-free and productive environment. Our team boasts years of experience, quality equipment and appropriate clothing to dispose of all types of office and retail waste, no matter the size. If you need your office or retail store’s leftover materials safely and compliantly removed then get in touch with us and make an appointment today.